Do you have a favorite shirt? If you spilled grease or paint or some other substance on that shirt would you immediately remove it and throw it in the trash? If you’re like most people you wouldn’t! You would spot and treat that stain so many times you almost wear a hole in the fabric. Then, if the stain STILL doesn’t come out – you probably turn it into your new favorite “work in the yard” shirt. At what point in that washing process did you concede you just gained another work shirt? The same scenario holds true in your commercial laundry – when do you rewash, and when do you throw it in the trash? In this article we are going to show you how to turn rags into riches. 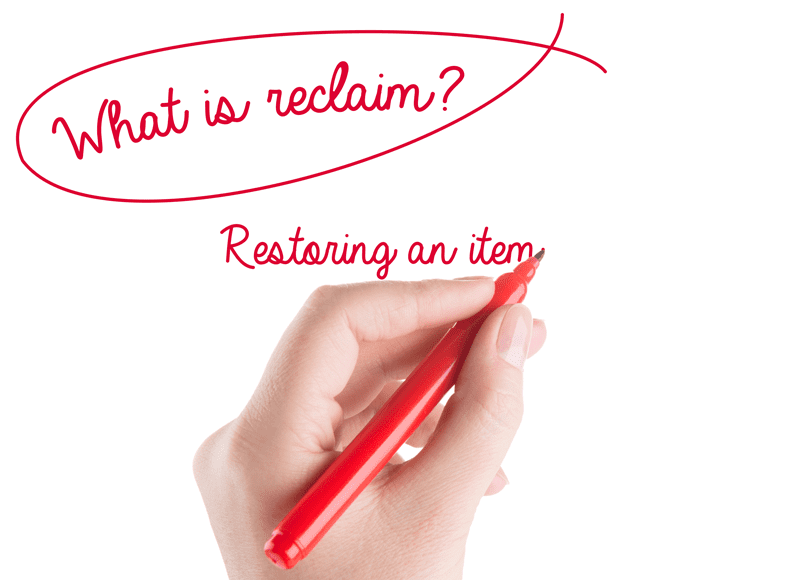 Reclaim, according to Merriam Webster, is “rescuing something from an undesirable state or restoring an item to a previous natural state”. Reclaim can also mean recalling from wrong or improper conduct or restoring swampland and mining sites or recycling plastic. However, laundry is what we know – so we’ll stick with that first definition today and leave the swamps for another time! Now, in order to restore something to its previous state – it has to be in need of restoring, right? If your laundry doesn’t have any items that need to be reclaimed then you’re wasting money in your initial laundering. That statement probably got your attention, which is what we wanted! Now let us expand on that: if you get all of the cosmetics, motor oil, grease… out of your linens on the first wash cycle you are using a lot more detergent (and money) than you should. The ideal scenario for your machines would be to get 90% of your linens clean on that first wash – leaving you 10% that needs to be reclaimed. You can throw the items away immediately. (VERY easy on your employees and machines – maybe not so easy on your profit margin). You can use a reclaim kit. 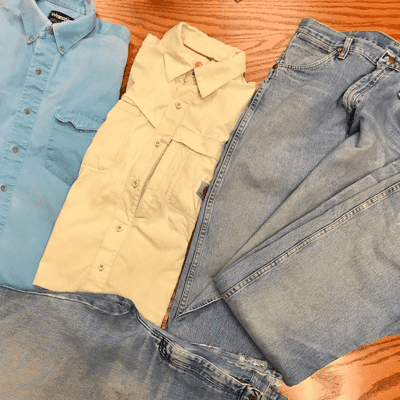 You can turn the stained items into cleaning rags – or new work clothes. The process that we recommend is a hybrid of these options and we’ll explain each step for you. Step 1: Sort your linens. We know that sounds too simple but what happens if you don’t sort? There are two different scenarios when you launder those extreme stains with the other items. You may load your machines with extra detergent and cleaners so you get out every stain on the first wash. Or you could wash everything together with your normal detergent amounts, throw it all in a dryer and SET those stains, leaving you with stained linens only fit for the trash. Either of those scenarios costs your business extra money. Therefore, we suggest training your employees to watch for and pull out extremely stained linens in the very first sorting. Or have them check out our blog all about sorting. You must then have a bucket, tub or even a washing machine in which to place JUST stained linens. Step 2: Presoak your linens. You know that bucket, tub or machine we just mentioned? Make sure that it is filled with a solution of water and Oxiclean™. That way your stains are being treated as soon as possible. Allow those items to soak for several hours (or overnight if you’d rather work your schedule that way). 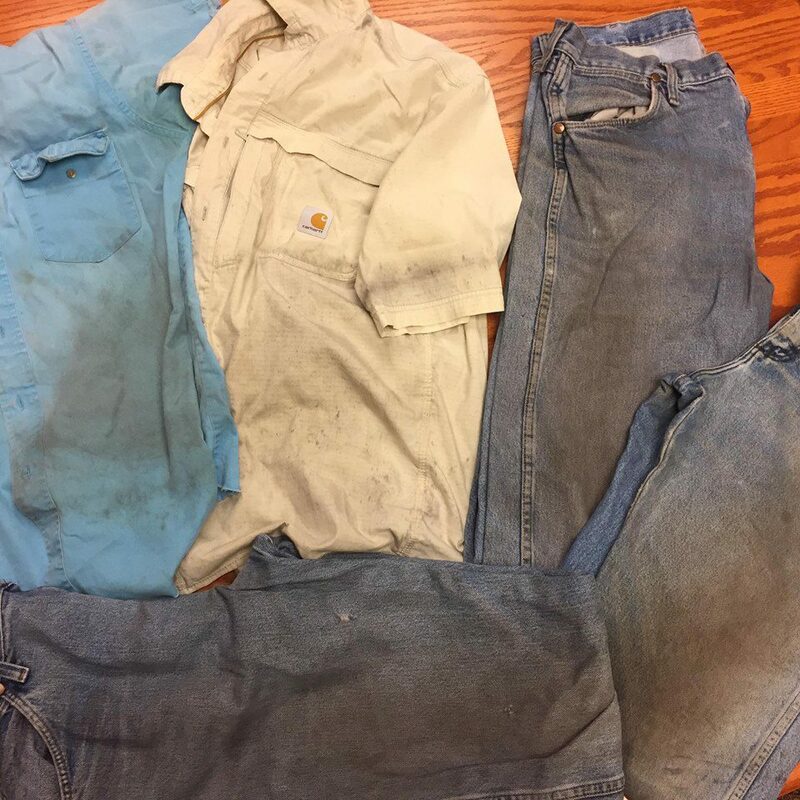 The photo above shows a real laundromat’s customer’s clothing that was received. The clothing had already been washed several times by the customer before being brought to them for help. The laundromat used this method to achieve the results below. Step 3: Wash your linens. Now wash the linens in the hottest water available and add Tide® – or you may use a reclaim kit at this step. Why do we say the hottest water? Intense hot water will do two things inside the washing machine. First, it will liquefy the grease, then, combined with the detergent, it will start a chemical reaction inside the linen fibers. Those two things will then emulsify the grease and keep it floating in the water as it dispels from the machine. Step 4: Bleach your linens. Allow the machine to spin out the hot water and emulsified grease (you’ll never look at cosmetics in the same way, will you?). Refill with water and add bleach (use color safe bleach if needed) according to your label instructions. Now let the machine do the work of rinsing and spinning. Dry the linens and then check them as they are folded. Are the stains removed? Great, put that clean laundry back into service! Do you still see spots and smears? Give up – please don’t waste your time and money doing this process again! Are your shelves now full of freshly laundered linens, and do your customers have squeaky clean clothes? No? Hmmm, you must have had too much, emulsified grease! Well, before you just trash all of that laundry, you could check with your accountant about how to keep track of damaged linens and use them as a tax deduction. You can also inquire at local shelters or charitable organizations – they may be more than happy to help you with your excess! Check back next month – we’re going to give you some info on caring for your laundry equipment to keep it in tip-top running order to save you even more money!